This past summer, a hurricane ripped through our city. It might not be uncommon for some areas, but in our part of the world it certainly was. Our entire city was without power for several days, our house for five days. It was certainly hard to bear. 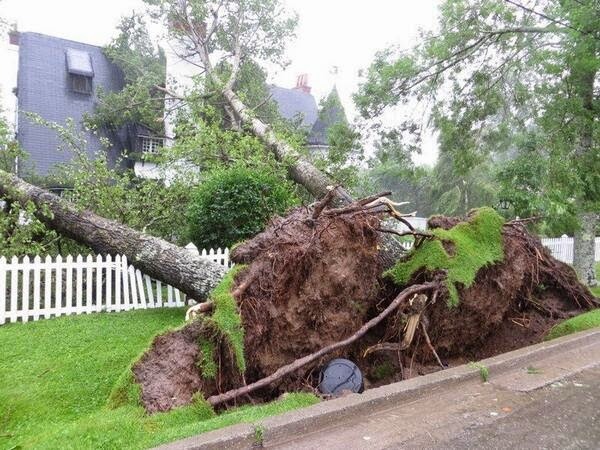 The hurricane’s amazing winds of over 100km/hr were powerful enough to knock down trees of all shapes and sizes. It was unlike anything I had ever seen before. Massive trees that must be at least one hundred years old were ripped from their earthen homes. All over the city, trees were blocking homes, roadways, power lines. One afternoon as I was preparing a meal for my family, still without power in our home, I looked out the kitchen window at one of the trees in my neighbours backyard, uprooted and fallen on their shed. A silent whisper in my heart said, this tree knew My name and has served Me well. It shook me to my core. Let’s get one thing straight, I am not a nature lover. At least, I haven’t always been. I have friends and family who would spend all day in nature if they could. I would rather sit in my cozy home and read a book or do some crafting. Yet this gentle whisper made me think. It made me think that He did, in fact, create the trees. As I stood there staring at this downed tree, a scripture came to my mind. “Let the trees of the forest sing, let them sing for joy before the Lord, for He comes to judge the earth.” (1 Corinthians 16:33). I looked at that tree for a very long time. I tried to imagine that tree SINGING. How many times had I walked by trees and taken them for granted? They were always there. They moved in the wind, they sheltered us from rain and the hot, raging sun. But they didn’t speak, they couldn’t communicate with us. And yet, the Bible says they will sing praise to the Lord. Ever since that humid afternoon in the aftermath of the hurricane, and long after the power was restored, this has stuck with me. I have begun to appreciate that creation – nature – has a deep connection with the Saviour. 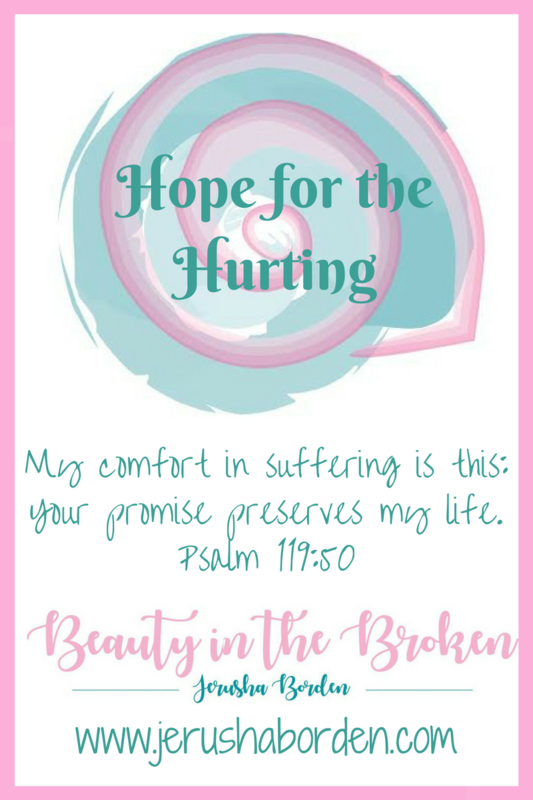 Recently, I was listening to a song that I had heard several times before by Bethel Music. It is a beautiful piece of worship music, but that particular day one line stood out to me like never before. The waves and wind still know His name. The trees will sing. The animals, the birds of the air and the fish of the sea will testify that in His hand is the life of every creature and the breath of all mankind. Stop for a moment and think about what that means. When you are outside, going about your day and the sun is shining, the wind is whipping through the trees, a bird calls out a song – all of these know His name. All of these things are commanded by Him. In a desperate world, full of darkness, these parts of nature that we ignore and take for granted are orchestrated by Him. No bird sings without His knowledge. No tree falls that He hasn’t already seen. The winds silently whisper His name. The sun rises and falls at His command. It is a powerful thought to know that He is all around us. 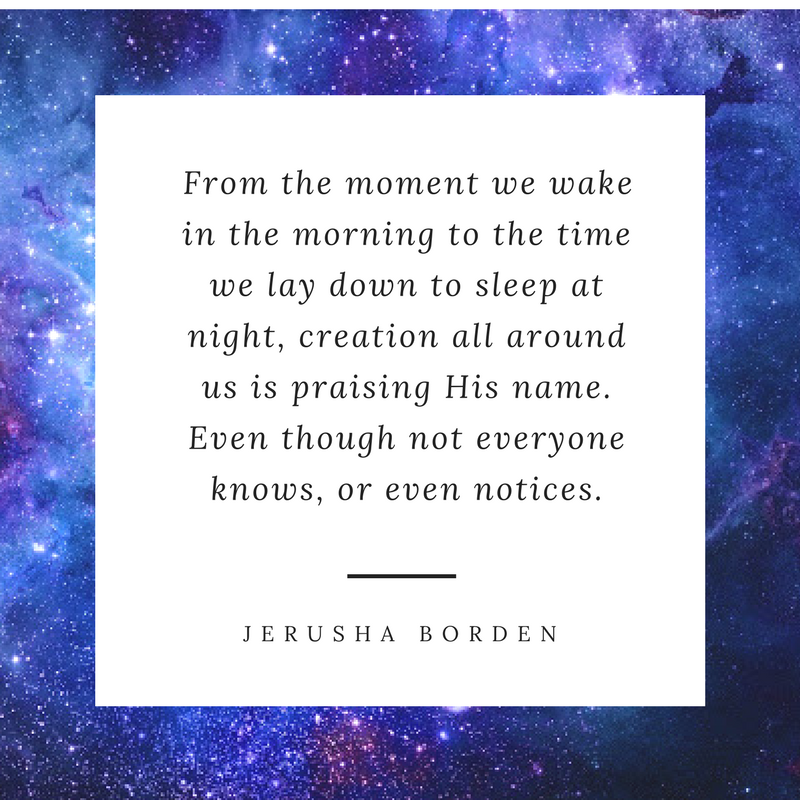 From the moment we wake in the morning to the time we lay down to sleep at night, creation all around us is praising His name. Even though not everyone knows, or even notices. I haven’t looked at the trees the same way again. We lost several trees that day of the hurricane. 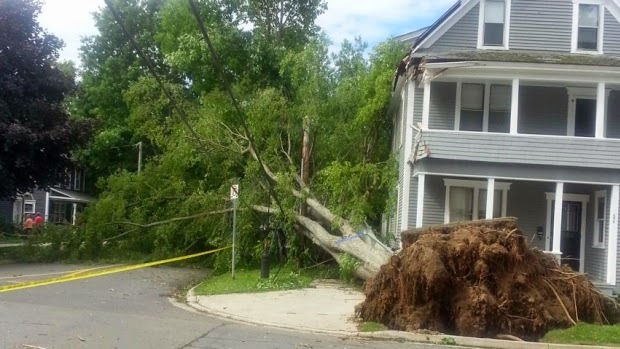 Almost every house in the city had a tree down or knew someone who had. Hundreds of trees gone. Yet the served the Lord and praised His name. I can only pray that we can live in the same way those trees did. Singing and praising His name, and serving Him well.